In addition to cash Honda donates the materials needed on site. Hurricane Sandy’s devastation has brought many challenges to first responders, residents and clean-up crews. One car company in America is uniquely qualified to help. 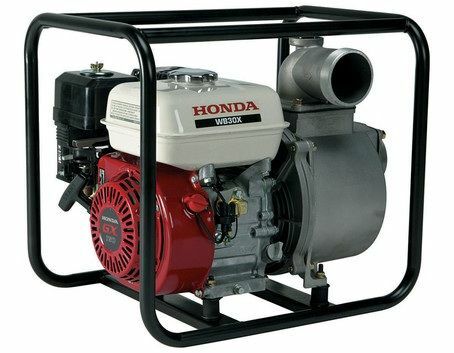 Honda is a manufacturer of not only cars and trucks, but also of generators, gasoline powered water pumps and off road ATVs. Honda is doing everything it can to assist in the relief. In addition to pledging $500,000.00 cash earmarked for the hardest hit areas in care of the American Red Cross directly, Honda is establishing a donation network throughout the Honda/Acura family. Honda will match all donations by its employees and associated company employees. Honda has 33,000 employees and associates throughout the Americas. The company said in a press statement that it will have the channels set up by tomorrow. Like Toyota, Honda is no stranger to storm surge disasters. Having suffered through the great Pacific Tsunami, and only just coming out of the economic blow it dealt, Honda is poised to provide help now to its customers and workers in the Eastern US. Tetsuo Iwamura, president and chief executive officer of American Honda Motor Co., Inc., and chief operating officer of Honda's North American region made this statement "This giant storm hit many areas particularly hard, and Honda wants to support the many individuals and families devastated by the hurricane's impact. As we have in responding to past natural disasters, supporting the Red Cross is an effective way to quickly reach the front lines." Honda will also use its Honda Financial services arm to help customers with loan modifications, help avoiding late payment issues including waiving some late fees, and extensions of loan payments where appropriate. Honda Canada will also step up and is working with the Canadian Red Cross to direct its help. General Motors, Chevy, Toyota and other automakers in America are stepping forward with huge contributions to the cleanup efforts. Honda’s unique ability to supply generators and portable pumps will surely be welcome.